SHAREthem library makes File Sharing & Transfer a lot easier!! Peer-to-Peer transfers are the best way to go when it comes to file sharing. SHAREit App takes full advantage of it. I’ve seen many questions on StackOverFlow asking about how SHAREit works. (Just search shareit on SO and you’ll see a pageful of questions asking about the same thing). Well, it’s easy to assume that they use Android Wi-Fi P2P libraries because android developer site says those libraries are used for P2P. But, if you observe SHAREit app creates a Hotspot on receiver side which defeats the whole purpose of using Android P2P libraries and more over SHAREit works all the way from Android 2.2(at least it used to) where as Android P2P libraries works only on and above Android 4.0. May be they are using combination of both to take leverage of platform apis. But I’m gonna talk about Hotspot way since SHAREthem library is built around it. UPDATE: Added Android-8, OREO support with default Android Hotspot functionality which comes with password protected Hotspot and so Receiver has to explicitly key-in password, inline with SHAREit functionality. Also app is posted on Playstore (Still in Beta). Click on the badge to see it action. Controller creates an OPEN Wifi hotspot configuration with an SSID which can intercepted by Receivers to recognize SHAREthem senders including port and sender names. Provides a list of connected WiFi clients. A tiny HTTP server extended from NanoHttpd, serves the sender data to receivers using IP address as hostname and works on port assigned by user or system by default. Android service which manages lifecycle of SHAREthem-server and also handles foreground notification with stop action. Receiver – provides UI to list the files available to download. 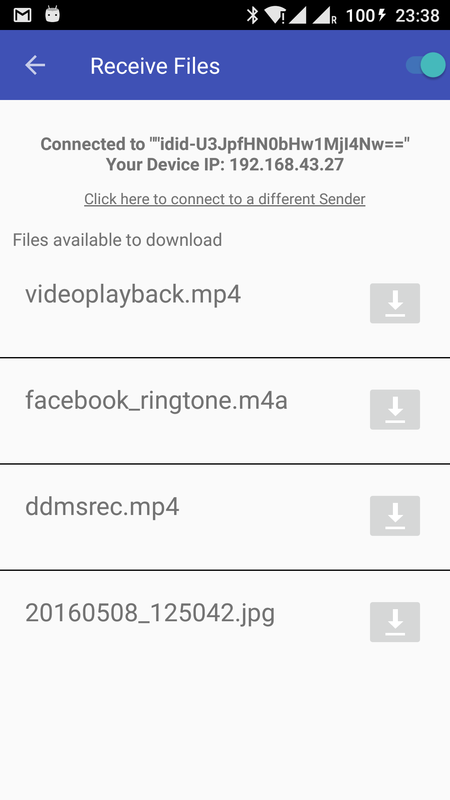 Posts a download request to Android Download Manager to start file downloads. Sender – displays IP, Port & connected clients info along with file transfer status for each connected client(Receiver). How to use it? Talk some code!! 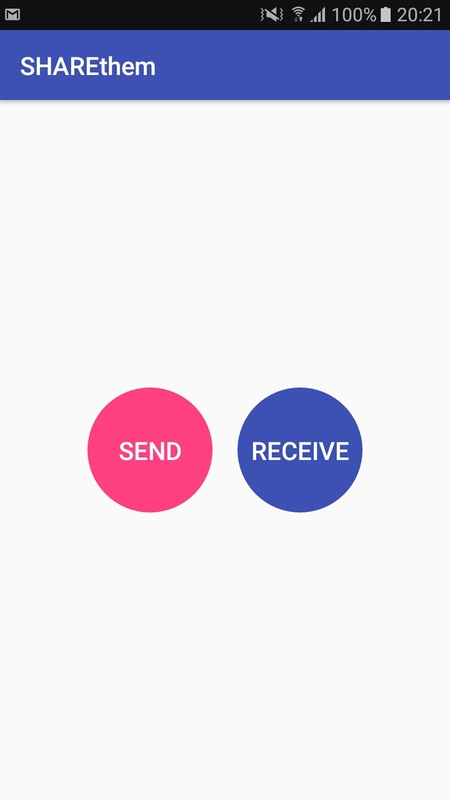 I’ve made a DEMO App using SHAREthem library to demonstrate Sender & Receiver Modes. 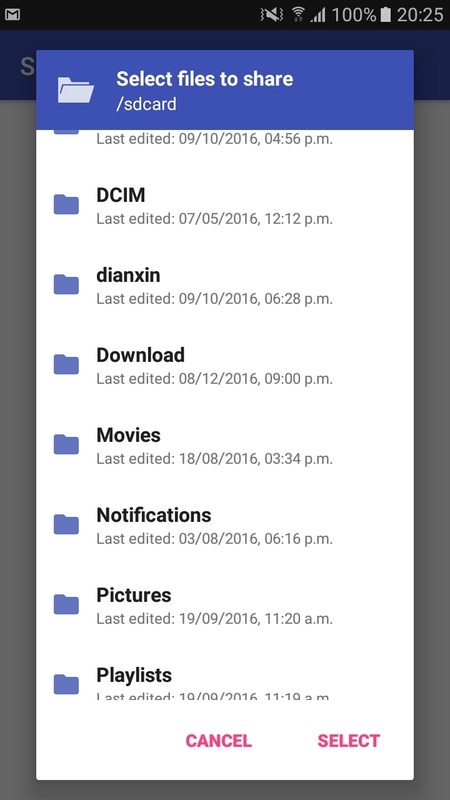 Demo Activity uses a nice library called android-filepicker for selecting files on Device. Github link is included at the end of this article. Feel free to checkout. ShareService.EXTRA_FILE_PATHS: holds location references to local files on device. In Sample app of Demo project on github i’ve used a nice looking File Explorer library to select files on device memory to share. ShareService.EXTRA_SENDER_NAME (optional): used by Receiver to display connection information. ShareActivity invokes SHAREService which in turn starts an instance of SHAREServer with device IP as wildcard address and port if unspecified assigned by system. On successful server setup, Hotspot Controller creates an OPEN WIfi Configuration with an SSID using combination of Android ID, Port number and Sender Name. Starting receiver mode is pretty simple as no intent extras needed. Receiver Activity starts scanning for senders automatically, you can turn off Receiver mode anytime though. Does it work on WEB browsers too? on a web browser after connecting to hotspot. Get Wifi Scan results method needs GPS to be ON and COARSE location permission. If an application’s targetSdkVersion is LOLLIPOP or newer, network communication may not use Wi-Fi even if Wi-Fi is connected. On some devices with API level 21 and above, “`connectToOpenHotspot()“` method on WifiUtils disables other Wifi networks in-order to connect to SHAREthem WIfi Hotspot. Ideally increasing priority should be enough for making WifiConfiguration but recent Android version are making it hard for Wifi n.ws with no internet connectivity. 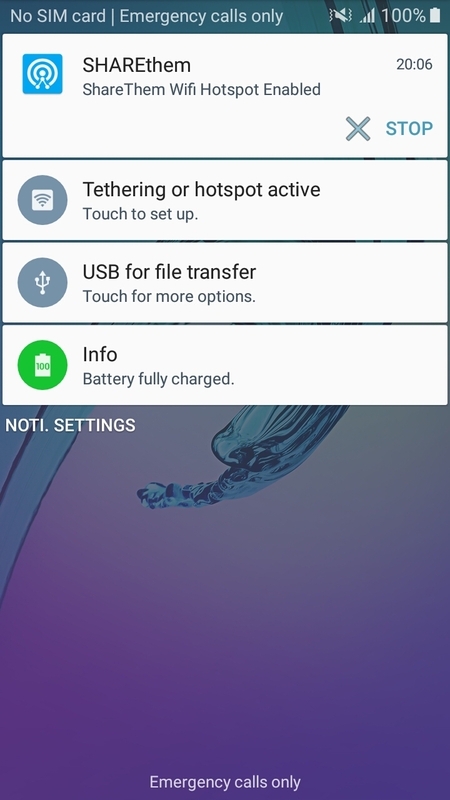 Enabling SHARE mode when System Wifi Hotspot is already active (enabled by user via Settings) might not work. Receiver Connected but not able to display Sender info: As mentioned above, on API level 21 & above, n/w communication may not use Wifi with no internet access if MOBILE DATA has internet access. Library can prompt to disable MOBILE DATA if this scenario is met, but not yet implemented. So turn-off mobile to make Receiver work. ReceiverActivity cannot connect to SHAREthem Wifi: Receiver tries to connect to SHAREthem Wifi in every way possible, but throws an error dialog if it fails. 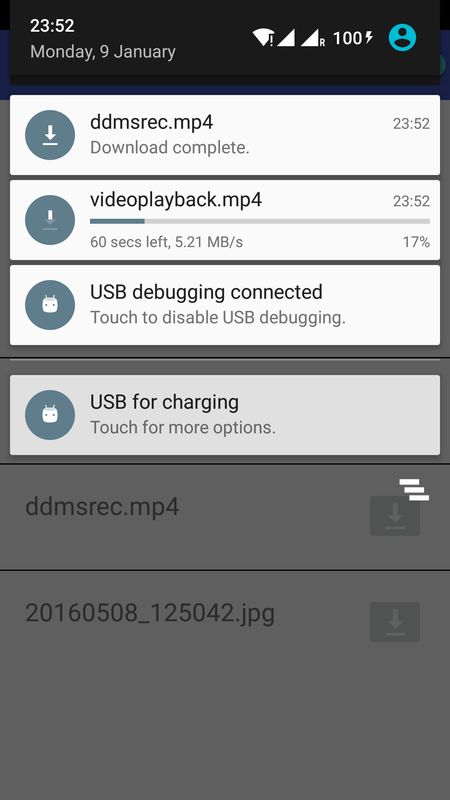 Dialog says to manually select SHAREthem Wifi on WIfi Settings. As a last resort, you can always manually connect to Sender Wifi. Are you gonna give me Source Code? ?